I was looking for a cafe with wifi to work, and quickly remembered that Oriole Cafe at Somerset is a good choice. The first time I visited Oriole was almost 3 years ago before I left Singapore, and I had a really good impression towards the restaurant then. The table that I got was slightly poorly lit, but the overall ambiance of the cafe was really cozy, warm, and romantic. 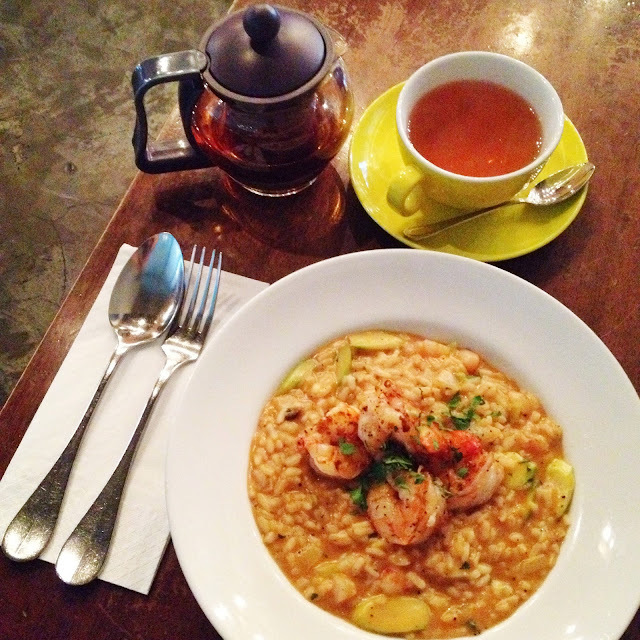 I planned to order something light as it was around tea time, but I had not have lunch yet, so I settled for the Garlic Prawn Risotto ($25) and a cup or Earl Grey Tea. The Garlic Prawn Risotto was promptly served. The risotto was cooked al dente but not too hard just as what I like. 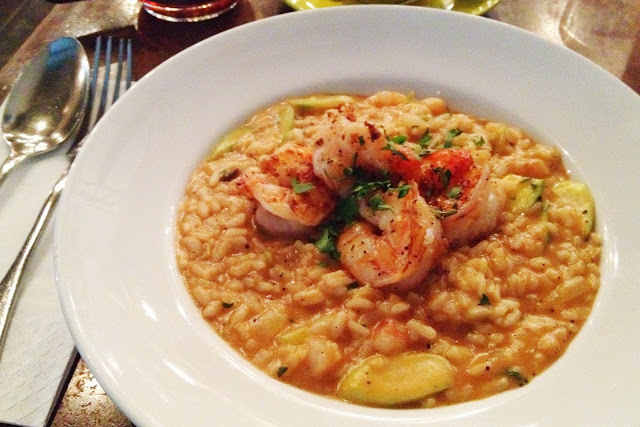 There were some asparagus and prawn chunks in the risotto, which added some crunch and freshness to the rice. The sauce had a very slight hint of cream and tomato, but I thought it was basically made of prawn stock - nicely seasoned but perhaps had a teaspoon extra salt. 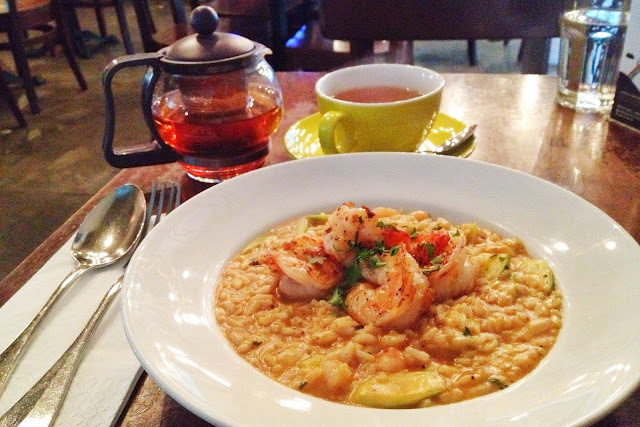 Three big sauteed prawns topped the risotto, but alas they were not as nice as the rice. The prawns were too crunchy (means they were not very fresh) and too salty. Overall this was a nice dish omitting the prawns on top. The Earl Grey Tea was nice and fragrant, and I opted to not have milk alongside the tea. 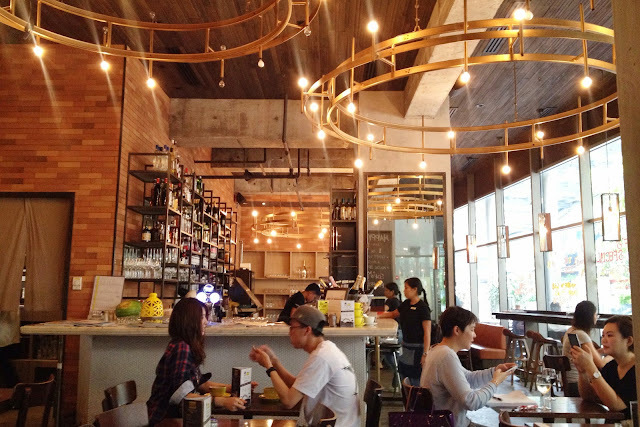 My servers at Oriole was attentive and friendly, and moreover the WIFI signal was strong and reliable. I would definitely return to Oriole Cafe if I need some place with WIFI to work, or even a nice place at Orchard area to have brunch or dinner.